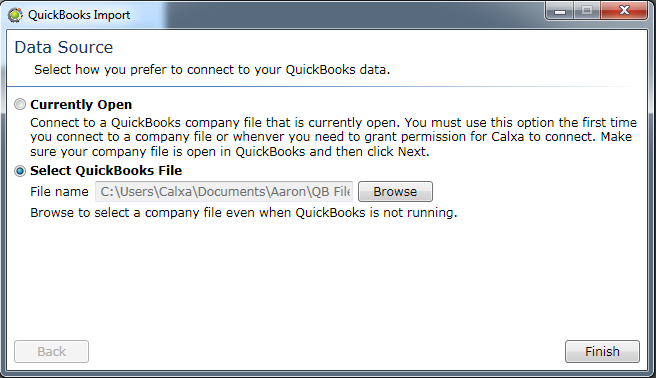 This help note will show you how to connect and update your Reckon Accounts company file in Calxa, and also briefly discusses Calxa terminology and tax code associations. The Currently Open option must be used when creating an organisation as access must be granted from within Reckon Accounts. Click the Next button to proceed. 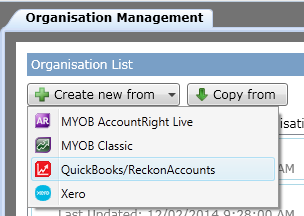 Note - You will need to have your Reckon Accounts file open in Reckon Accounts. 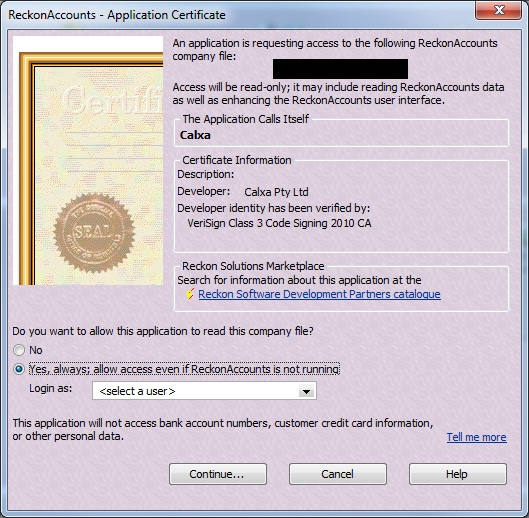 Reckon Accounts will now prompt you to grant permission for Calxa to connect to your Reckon Accounts file. 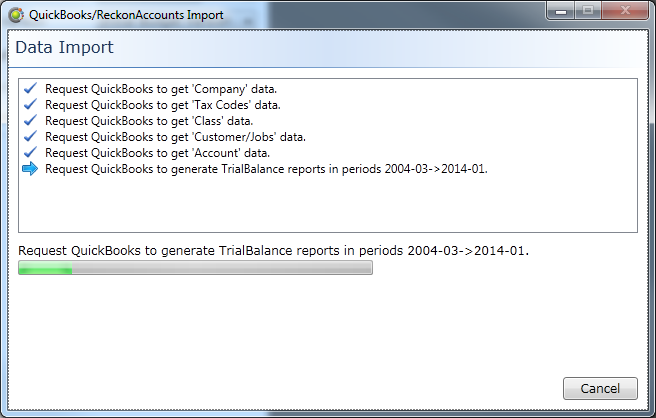 Select Yes, always; allow access even if Reckon Accounts is not running and then click Continue. Click Yes, when asked to confirm and continue. Calxa will then process the organisation data from Reckon Accounts; this may take a few moments. Note: If the import process fails please see the Things You Need to Know - Using Calxa with Reckon help note for troubleshooting tips. As of 15 September 2017 Calxa no longer supports Reckon for new customers. Calxa broadly refers to cost centres including the organisation as Business Units. On your initial import Calxa associates Reckon Accounts classes as departments and customers/jobs are imported as projects. You may, however, manually change the terminology settings – for more information on this, please refer to the support note – Organisation, Business Units, and Budget Versions. Due to the application programming interface (API) to Reckon Accounts, Calxa is unable to obtain the tax code associations. Calxa will set some default tax codes for you, however you should ensure that these tax codes are correct. Click on the Cashflow Settings button to review and change the default tax properties as necessary. To edit the settings click the drop down menu in the Default Tax column of the account you wish to edit and select the appropriate tax setting. Ensure you click the Save All button to save your changes. 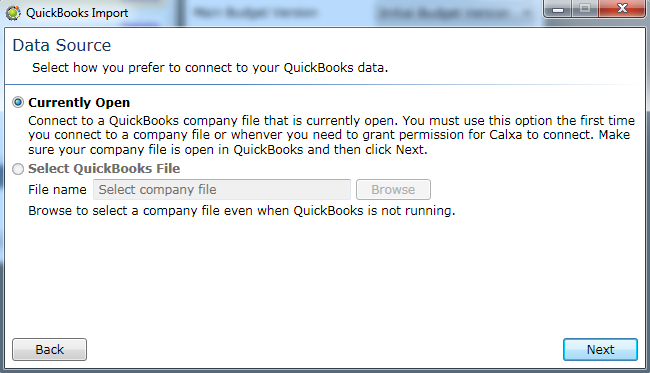 Select either Currently Open or Select QuickBooks File. Note: If the update process fails please see the Things You Need to Know - Using Calxa with Reckon help note for troubleshooting tips. As of 15 September 2017 Calxa no longer supports Reckon for new customers.